The threat of flooding in cities is often compounded by political and economic decisions made on watershed management, land development and water infrastructure and provisioning. It has also become a point of conflict between cities’ objectives for development and modernization, and the struggles of marginalized residents living in low‐lying coastal and riverine areas to remain in place. Flooding takes on different forms depending on one’s point of view. It is a biophysical issue, involving geology, geography, meteorology and ecology. It is one of urban governance, involving planning and maintenance of infrastructure and land use. And it is sociopolitical, involving historical social and spatial marginalization and contestation. 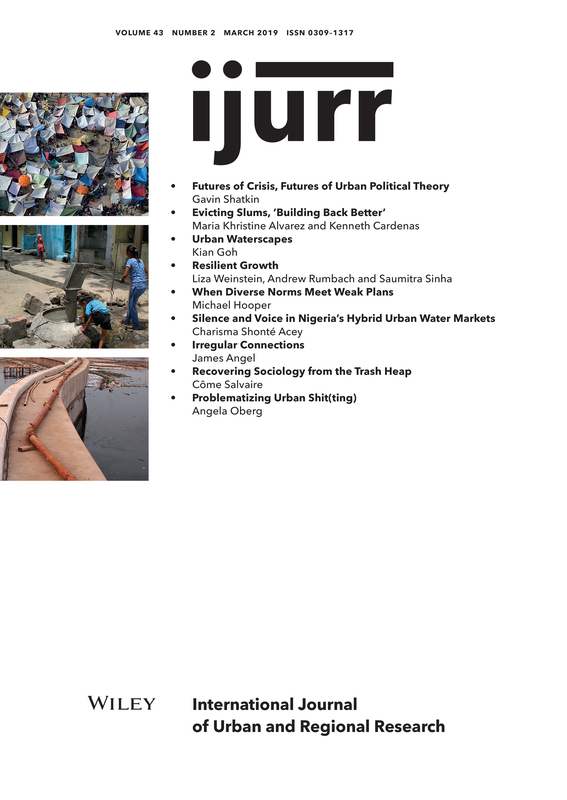 This article, based on mixed‐methods research in Jakarta, Indonesia, traces the conceptual and physical contours of urban waterscapes across these conflicting ideas and narratives. It brings into dialogue theories of urban political ecology, landscape ecology and environmental ethnography to explore the interrelationships between biophysical and sociopolitical factors behind urban flooding. In the article the focus is on the varying materialities and scales involved, including the ecological scales of the watershed, the infrastructural scales associated with flood protection, and the urban scales of planning, governance and social activism. The article concludes with a proposition for a multidimensional approach to thinking and acting on problems of urban ecological change.